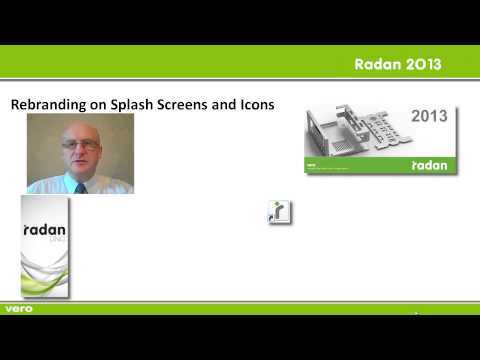 Introduction to the great new features in Radan's 2013 release of CADCAM software. Have a look at the new look icons, splash screens and Web site. As a continuation to our ongoing rebranding exercise we have launched a range of enhanced product graphics with this software release. 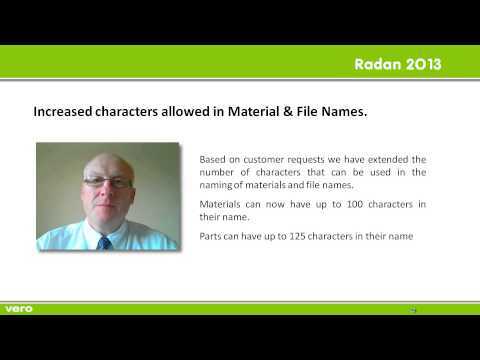 To facilitate the filing of parts and materials we have increased the number of characters that can be used to for Material and File Names. Pens to Ignore in Nesting. 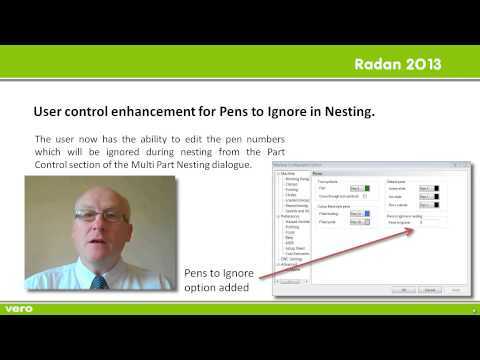 We descried changes made to make it easier to edit the Pens to be ignored during nesting. 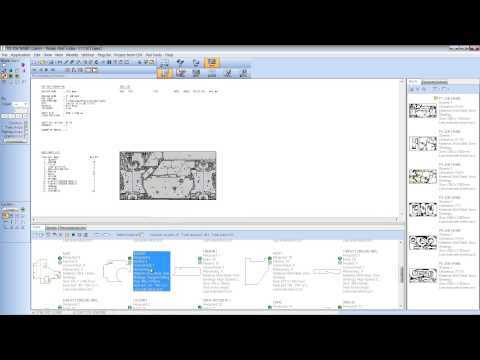 Discover improvements to the way in which you can control order preference when using common line cutting. Support for ACIS 22 Sp2. 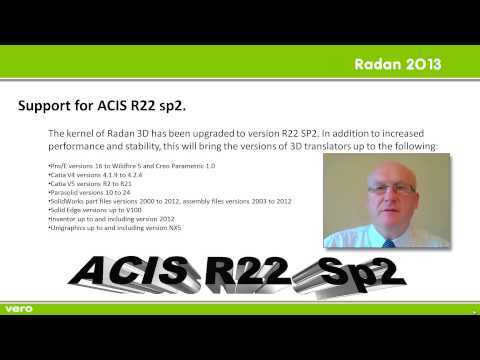 Find out how the latest ACIS core not only improves performance and stability but also offers improved 3D translators. 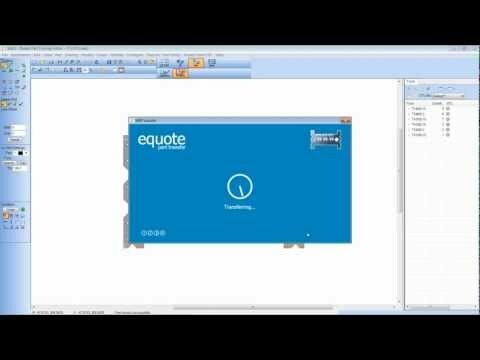 Learn about a great NEW CAD feature that will simplify the process of extracting profiles from complex drawings. 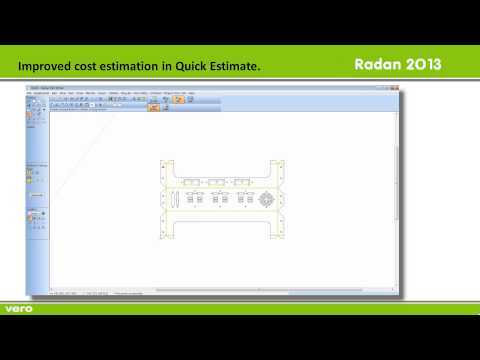 Find out how changes made to Quick Estimate will improve the accuracy of cost estimation. 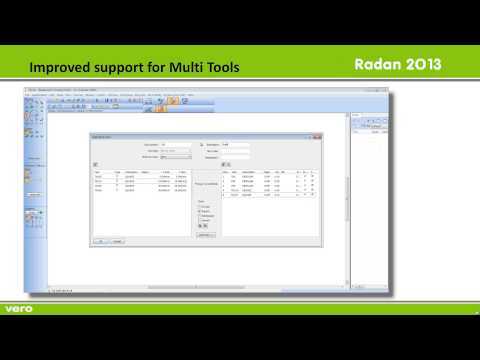 Have a look at the result of major developments in the creation and manipulation of Multi Tools in side Radan. 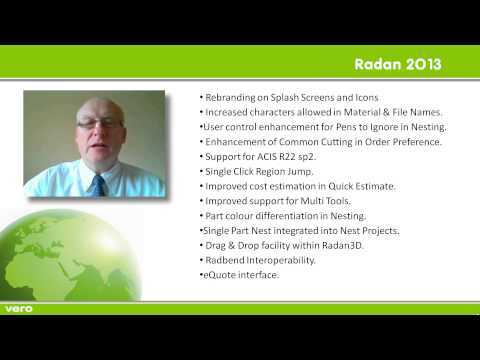 See for yourself the enhanced ease of use now available in the Radan tool editor. Based on customer requests for assistance for operators when unloading parts from nests, we have introduced colour identification for parts in nesting. 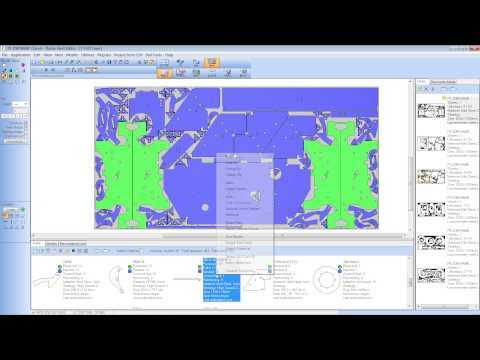 This feature makes part identification much easier but goes even further in offering the user several new ways to identify categories of parts. Enhancement to Single Part Nesting. 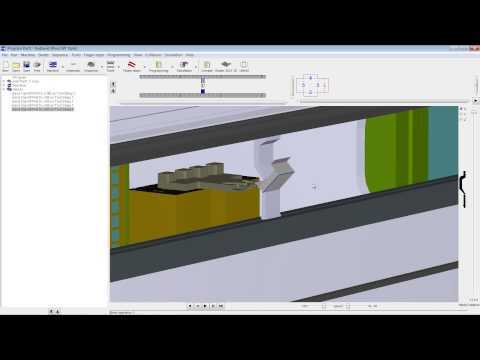 In this release of software, Single Part Nesting has been integrated into Project nesting this gives several advantages in terms of part and nest management. 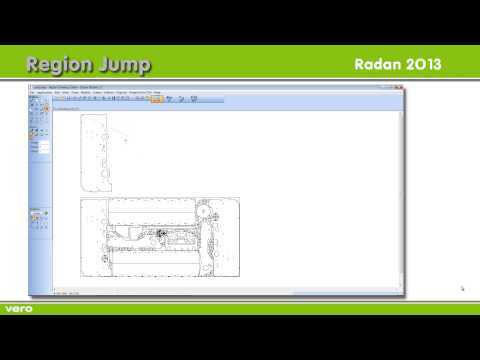 Drag and Drop functionality has been added to Radan 3D further simplifying the opening and import of 3D data. 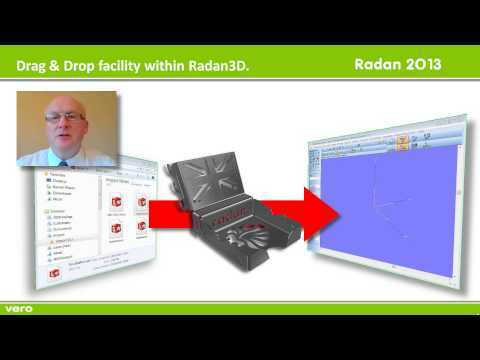 Further enhancements have been made to the interoperability between Radan3D and Radbend. 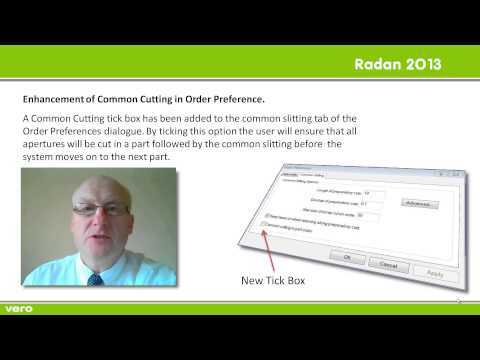 It is now possible to have associative tooling in Radbend so that if a change is made in Radan3D the tooling in Radbend will automatically update.